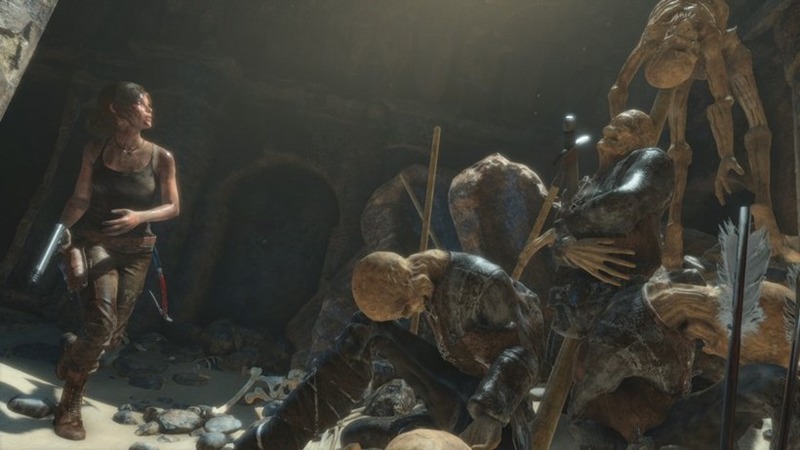 Rise of the Tomb Raider hands on: finally – actual tomb raiding! 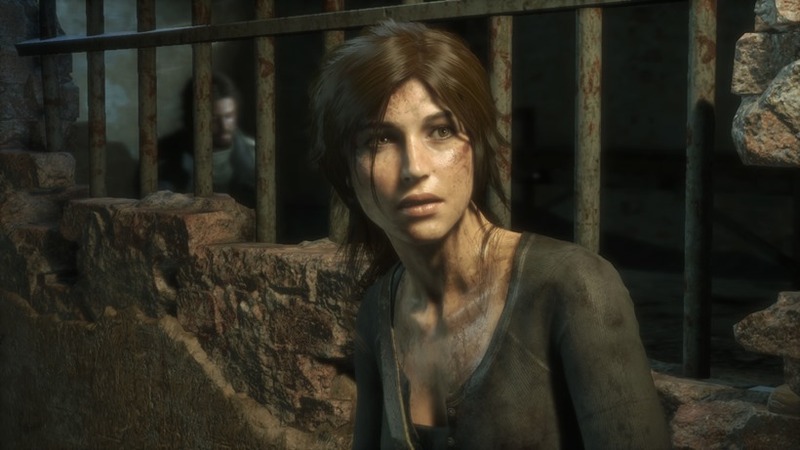 Believe it or not, Lara Croft has been around for nearly two decades! 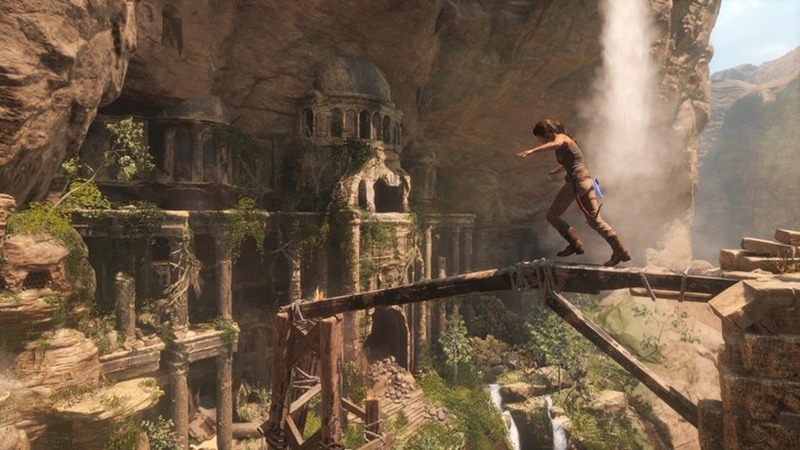 Gaming’s leading lady has had her ups and downs, but more recently, an absolute high with the franchise reboot in 2013, (imaginatively named) Tomb Raider. It was a phenomenal title, showing gamers the early days of Miss Croft and how she came to be the awesome explorer we all know her to be. Thing is, Lara didn’t do much tomb raiding on Yamatai. As fantastic as that game was, the reality is it had very little to do with its actual name. 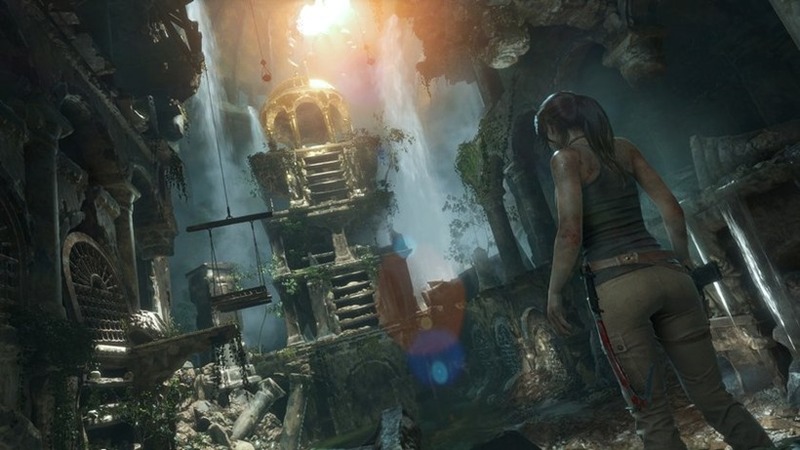 This is something Crystal Dynamics are looking to rectify in the game’s sequel, the Rise of the Tomb Raider. And this is something that has me incredibly excited. After Microsoft’s conference at Gamescom, I was somewhat put off because all that was shown was premium action, with Lara brutally destroying every enemy in sight. This isn’t a bad thing per se. The original reboot did gunplay very well as a matter of fact, and it was immensely enjoyable. I was desperate for any details regarding the bits of the game that didn’t involve shooting everything to hell however, and I finally had my wish granted. I got to play 30 minutes of Rise of the Tomb Raider, most of which were pure exploration. Before I got my grubby paws on the controller though, a developer played through the first few minutes of the demonstration. It kicks off in a very bright, hot and dusty Syria, where Lara is being driven somewhere by a local. Seeing as she has a knack for attracting danger, it isn’t long before a wild helicopter appears and opens fire, tearing the car up. 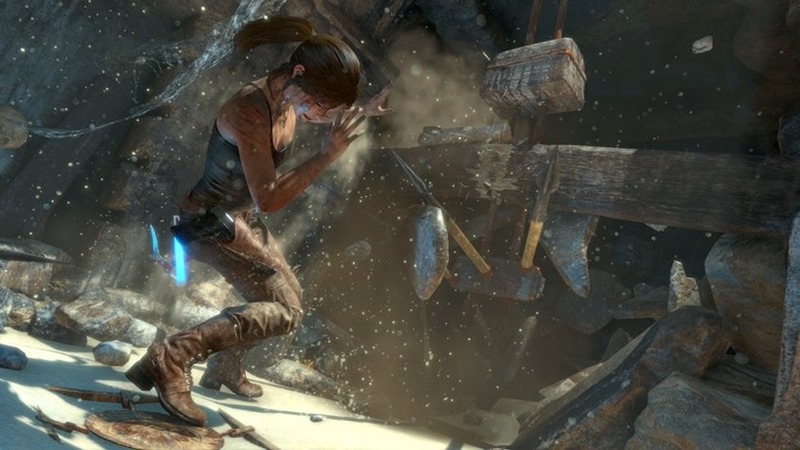 A blink of an eye later, and Lara is out of it and clinging to a cliff face… you know, just the average Croft day! She scrambles up, unhindered (for now), and proceeds along the ledge. She spots something of interest and mentions research her father was doing. An audio log plays, where Mr Croft speaks, shedding more light on what she is looking at. This happened pretty often throughout the demonstration. Soon enough, Lara is doing what she does best – jumping and climbing to get to her next point of interest. In doing so, the developer discovers a chest, and tells us that these will be scattered throughout the world (much like the last game). It’s perfect for those OCD explorers who love to search every nook and cranny for a relic of interest, or simply for the satisfaction of completing the game 100%. Finally, after reaching the tomb, I am given the controller. It just so happens that I am in a very narrow, dark space, meaning I have a close up of Lara from the front. What immediately grabs my attention is the dirt, scratches and blood covering her face. This is very much the Lara we got to play as in the last game. She may have matured during her time in Yamatai, but she is still very much vulnerable and a bit rusty at what she does. Once out of the narrow passageway (which was filled with something I won’t mention for fear of ruining the surprise), I navigated several puzzles involving the raising of water levels to proceed, and lots of natural hazards. What’s a tomb without a good few million spiked floors, right? One resulted in my death – the sneaky bugger. The puzzles themselves weren’t too challenging, but the developer assured me that this is one of the earlier tombs, and thus, serves more as a tutorial in a sense. If I ever ran into a dead end though, I could make use of Lara’s keen focus, which highlights points of interest, guiding me in the right direction. One new addition the developer touched on briefly during his presentation was Lara’s ability to improve her foreign languages. This tomb for example, had Greek writing on the wall. By examining other points of interest, like a mural, Lara became more proficient in the language. I never got to do it properly myself (though I did fill my language xp bar a little), but I’m guessing that becoming proficient enough allows for the text on the wall to be read and understood, and thus, a secret of the tomb being discovered. If that’s the case, then damn it’s a cool feature – especially for people like me who want to explore every inch of everything. Those who aren’t interested can simply move forward with the core quest if they wish to though. Speaking of which – all the while I am treading these dusty caverns, explosions can be heard every now and then in the distance. Whoever was in that helicopter is closing in on the prize too – they’re just taking the back door – which happens to include lots and lots of explosives. I get to it first. It isn’t long before our noisy enemy appears too. His name is… I honestly don’t know, but I’d imagine he is the game’s antagonists, or at least one of them. He looks rather ruthless and unpleasant. Good. I can’t wait to take him down. It’s at this point we see I see Lara has grown. Outgunned, she somehow manages to turn the tables, resulting in crazy end to my demo. During this segment, I had to shoot two people. That really seems like a drop in the ocean compared to all the merciless violence demonstrated in Microsoft’s demonstration. I addressed my concerns with the developer as soon as my time with the demo was up. He assured me that what was shown in the Microsoft conference was certainly action orientated, but not necessary. Players can choose to follow the far more sneaky, less ruthless route if they wish. And that in itself is enough to have me excited for Rise of the Tomb Raider once more. Don’t get me wrong, like I’ve said, I loved the gunplay from the reboot title. I just yearned for something a little more, for lack of a better expression, ‘Indiana Jones’ in my gameplay. If Rise of the Tomb Raider can throw a whole lot of that in, it’s going to be an amazing title. If you’re a fan of Lara, I’d advise boarding the hype train. Next article This final red band trailer for HITMAN: AGENT 47 is pretty crazy, huh?